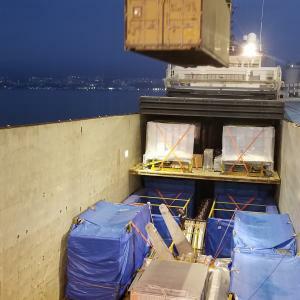 BATI Shipping & Trading in Turkey have recently shipped a power plant to Tunisia. The shipment totalled 300tn / 2,750cbm and was shipped from Eregli in Turkey to Rades, Tunisia (click below for full photograph). 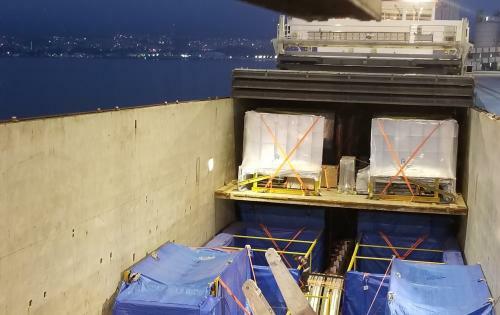 BATI Business Development Manager, Kaan Aydin explains; "This door-to-port shipment was quite challenging due to an unbalanced center of gravity and a lack of lifting points. However, the engineers and project executives at BATI got together and figured everything out with a limited time. The operations took a total of 6 days over which there was a national holiday in Turkey." Another job safely and successfully handled by the expert team at BATI!